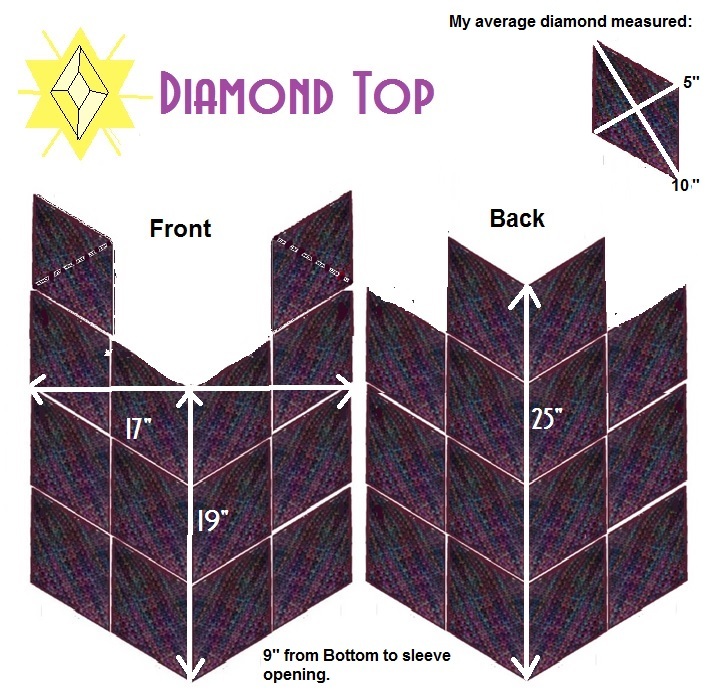 I am going to post the basic instructions for the Diamond Top here. If you want a pdf you must email me and I’ll send it along. It has been very popular but you must keep in mind that this is not a one size fits all. This one was made to fit Madelyn, who is quite thin. I am working on the sizing problem and will post as I came up with options. meantime if you make adjustments to fit yourself I do hope you will share them here for the rest of us. I worked a row of single crochet and then a row of reverse single crochet (crab stitch) around the neckline to stabilize it a bit. If you find it needs this and you don’t crochet (you really should learn, it’s very useful) you can sew on a bit of lace or trim for the same purpose. The measurements are of my top for Madelyn. Yours may vary with your weaving style and the yarn you use. 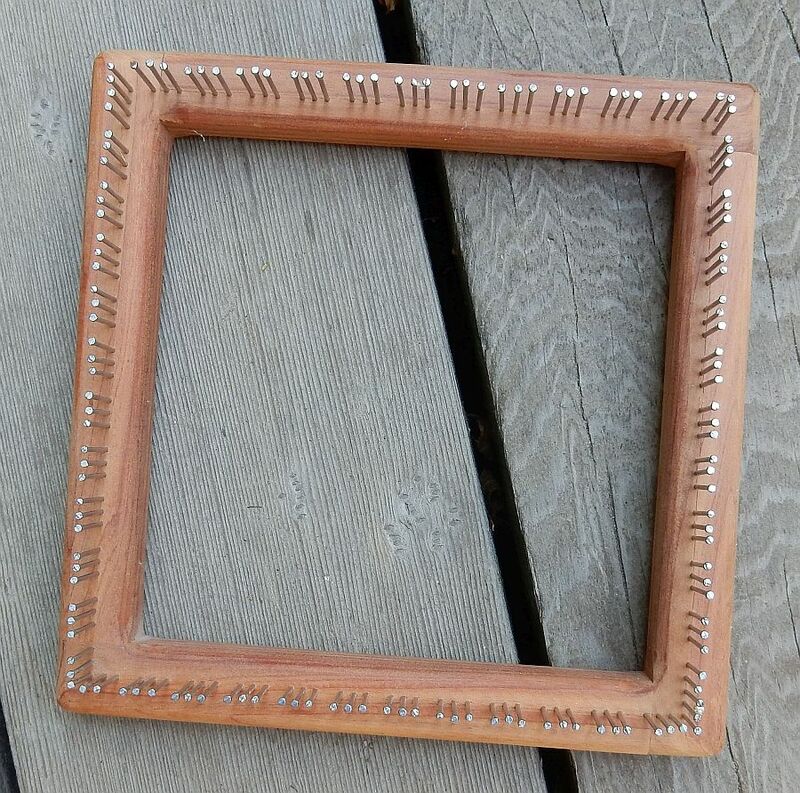 One more thing, in case any of you need looms, I have posted a few misc discounted looms for sale on Ravelry Looms To Go sale thread, The detail are there. We’ll be leaving for Nampa, Idaho on Friday so are busy getting thing organized. If you pardon my using that word in is loosest sense! Well, Himself is Organized. I’m just hoping for the best, organization not being one of my strongest traits. But I am making lists. Meantime, I have had interest in the Baby Wolf but no one so far has claimed it. We will not load it up unless someone asks us to bring it along. And we’re getting the garden in while it is rainy and a little cooler, giving things a good start. I’m trying some Alaskan corn this year. We never get a good corn crop as it just is not warm enough here but this one claims it likes it a bit cooler. It seems to be doing well so far! X your fingers for it! 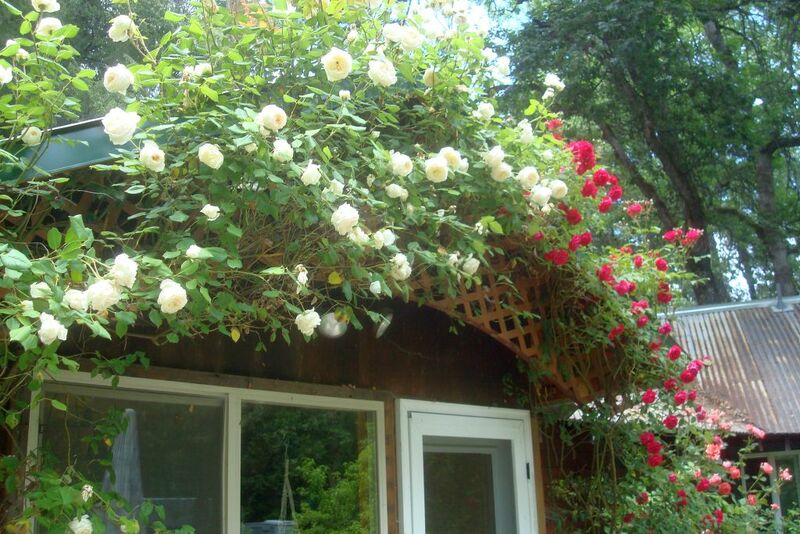 And the roses are as lush and beautiful as ever! My deck looks like there’s been a wedding with all the petals there! If you get a chance to come to Fiber Train in Nampa, I do hope you’ll come by and see us. This is our first year there with the looms and we are looking forward to visiting this historical city. The baby has gone to a new home where I hope everyone will be happy and useful! I am having to admit I am never going to have time to use this loom again. Himself claimed he wanted to learn, but he also did not get to it in the last year so it’s going to have to find a new home. 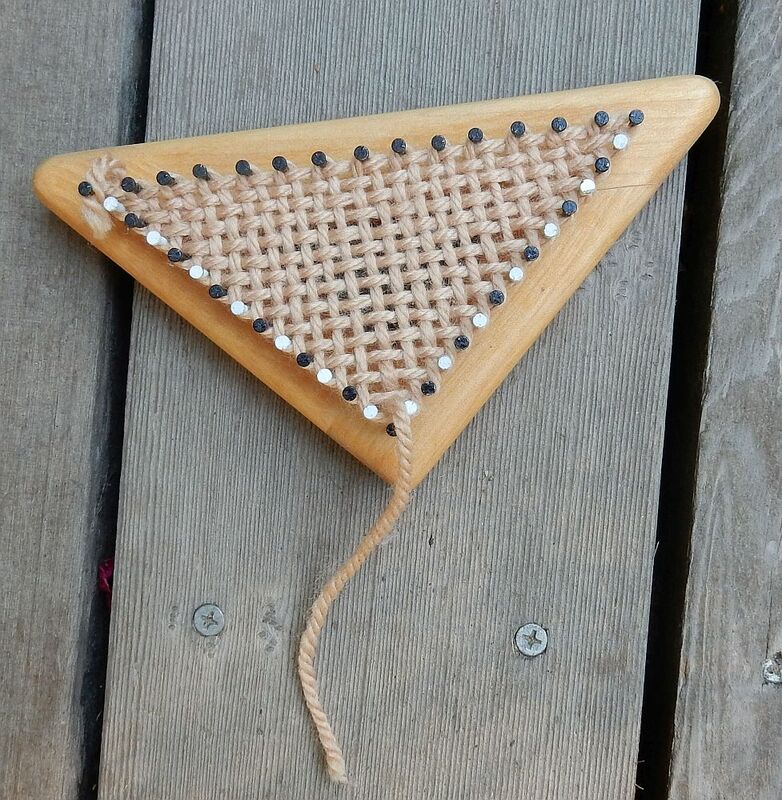 I have used it for several projects and it did a fine job and was fun to weave on. 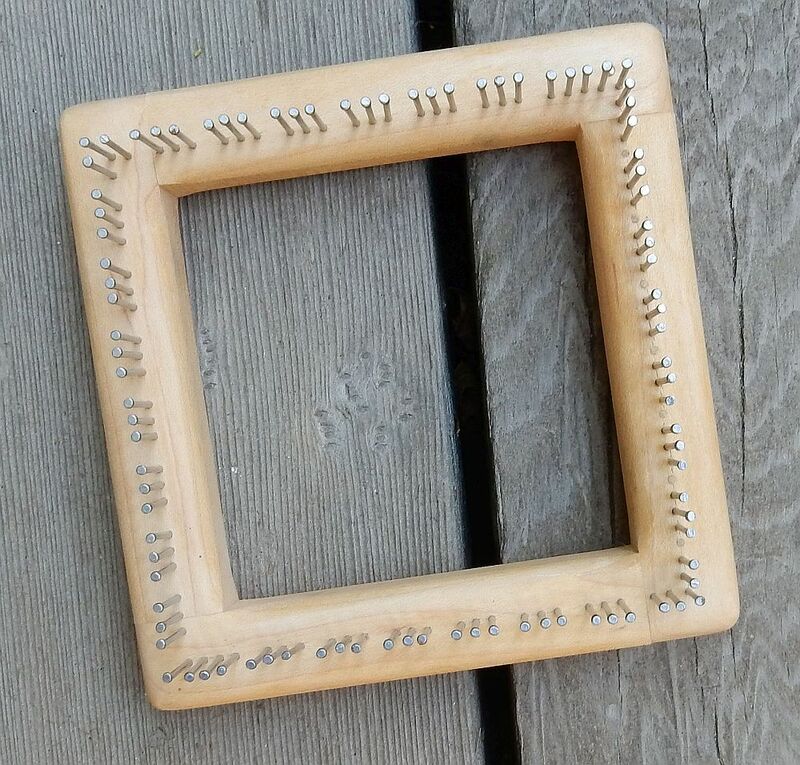 I bought it without accessories but will include these things with the loom. I bought all this (pictured) extra so you will be getting a deal. If you have any doubts, price them yourself. Also, if you are in need of them, I have learning to weave books I can send along. We are quite a bit out of the way for most people so I am listing the shows we will be visiting this summer. If you are interested in the loom you can contact us and we will deliver it to any of these places, hopefully one will be handy for you. Arcata & Boonville, CA and Canby, OR in Sept. We are occasionally in Medford OR throughout the year also. 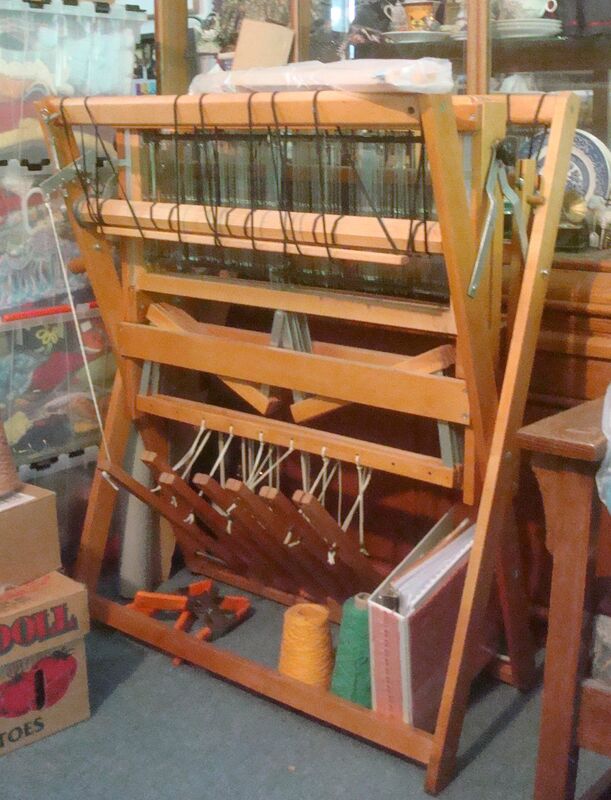 Okay, the loom: If you are interested I will try to find space to get the loom open and take more pictures. Four Harness Baby Wolf (New sells for $1799 -2300) I want $1000 for everything but am willing to deal. Brand new never been used lease sticks and raddle. I paid $120 for the raddle. 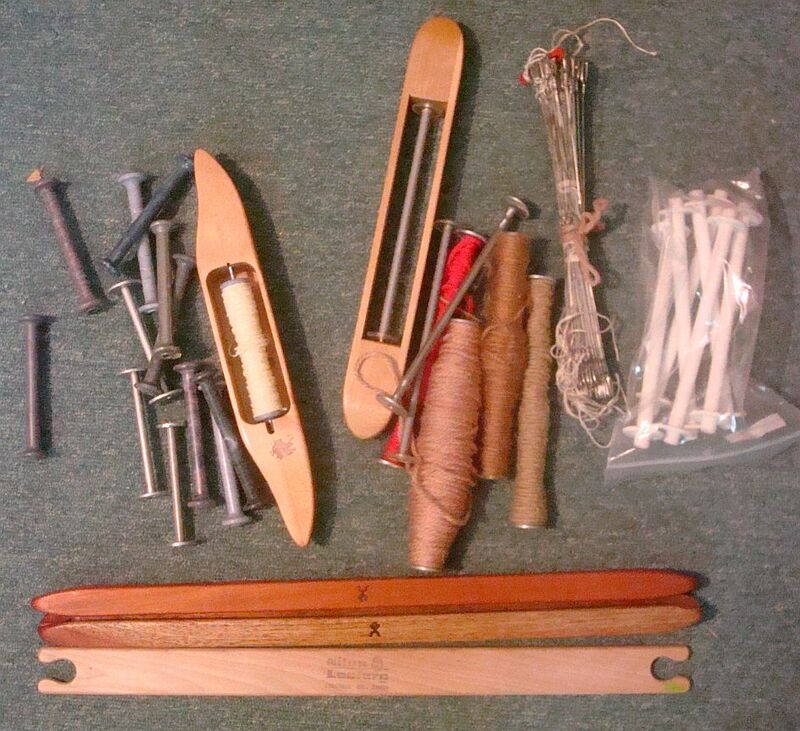 Boat shuttles, stick shuttles, some extra heddles, lots of bobbins. Boat shuttles run around $40 depending on size and brand. Sticks around $10 each. Mine are used but not very much. Lots of bobbins. 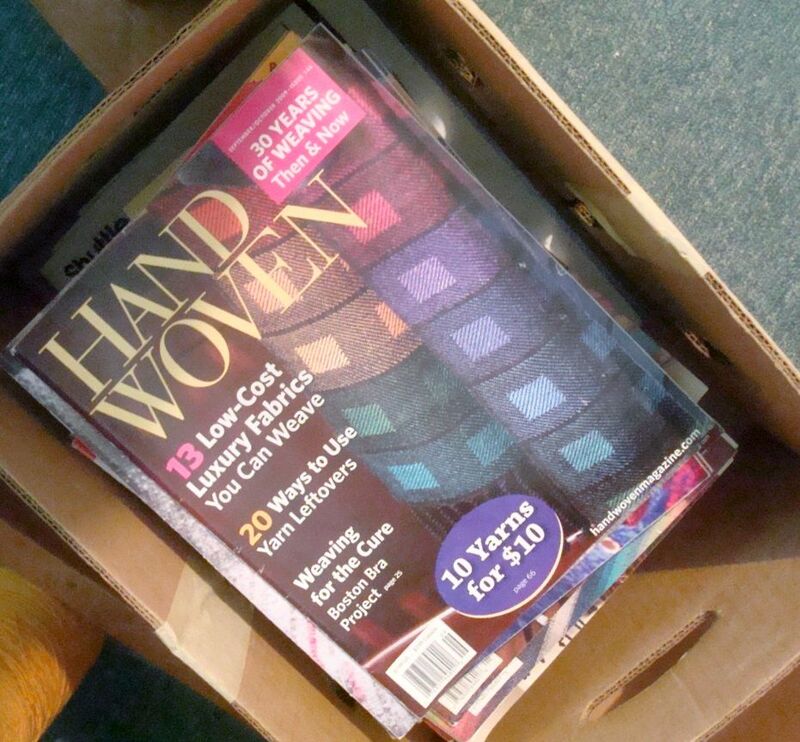 Several years worth of HandWoven magazine if you want them. Plenty of projects to keep you busy for years.